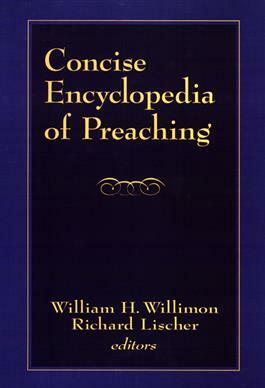 The Concise Encyclopedia of Preaching is the most comprehensive reference work on preaching available in the English language. No other book so richly combines concerns for the practice of preaching with theological themes and historical tradition. Its scope ranges from the technical tasks of sermon preparation to thoughtful essays on such topics as narrative preaching, African American preaching, style, and prophetic preaching, as well as a host of issues that are shaping and challenging the contemporary pulpit. Also included are essays that explore the life and work of the church's most influential preachers, including such diverse figures as St. Augustine, Sojourner Truth, and Fulton Sheen.